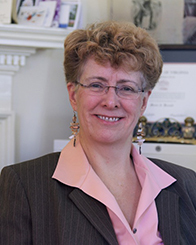 Marva Barnett (Ph.D., Harvard, 1980) is the former Executive Director of the Center for Teaching Excellence (CTE), which since 1990 has promoted excellence in teaching, helped build community, and fostered innovation throughout the University of Virginia. Her current research centers on Victor Hugo’s work; she has recently published Victor Hugo on Things That Matter with Yale University Press, a reader that highlights his ideas’ contemporary relevance and contextualizes both historically and personally his varied writings and art work. She also co-edited with Drouet biographer Gérard Pouchain Lettres inédites de Juliette Drouet à Victor Hugo. In 2000, as the Thomas Jefferson Visiting Fellow at Downing College, University of Cambridge, Marva pursued a cross-cultural analysis of thinking skills, values, and expectations in humanities in the US, France, and England. She also has studied and offers workshops on second-language reading and writing processes, peer observation and coaching, and active learning. She is particularly interested in respecting and engaging students. The author of the reading strategies text Lire avec plaisir and the theoretical More Than Meets the Eye: Foreign Language Reading, Theory and Practice, she has published in such journals as The Modern Language Journal, Foreign Language Annals, and The French Review and presents at such conferences as the Northeast Conference on Foreign Language Teaching, the American Council on the Teaching of Foreign Languages, Lilly Teaching Conferences, and the international faculty development conference, the Professional and Organizational Development Network in Higher Education (POD). Marva has been named Chevalier de l’Ordre des Palmes Académiques (2012) by the French Republic for her contributions to teaching and research on French culture and literature, including her work on Hugo. She has also received the Thomas Jefferson Award (2011), the Excellence in Faculty Mentoring Award (2008), the Elizabeth Zintl Leadership Award (2002), the Stephen A. Freeman Award for Best Teaching Technique Article (on writing as a process) (1990), the Paul Pimsleur Award for Research in Foreign Language Education (on the roles of semantic and syntactical in foreign language reading) (1987), and the Virginia Award for Excellence in Foreign Language Education (1988). She was elected a member of the U.Va. Raven Society (1995). She has taught undergraduate and graduate French courses at the U. of Virginia, Indiana U., Purdue U., Harvard U., and the U. of Maine at Orono. She taught English in Sèvres, France, as a Fulbright Foreign Language Teaching Assistant.